Start reading Turning Pages: My Life Story on your Kindle in under a minute. I was able to use this book in my classroom to share with my scholars as an example of a personal narrative. I was also lucky enough to get it signed by Justice Sonia Sotomayor when she visited the school district that I teach!! 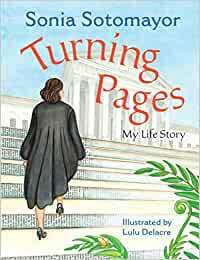 It’s perfectly written for a younger audience to learn how a dedicated Supreme Court judge read her way to success. 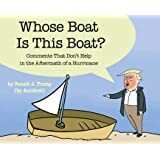 5.0 out of 5 starsBeautiful Book with a Terrific Message! I read Justice Sonia Sotomayor's autobiography "My Beloved World" when it came out several years ago and thought many of her experiences would resonate with and inpsire so many school children especially from Hispanic cultures. So I had wished that Justice Sotomayor would write her story in a book for children. I was THIRLLED when I learned she had written one and it had just been released in both English and Spanish. It is terrific as it tells how reading has been her gateway to learning about the world and helped her deal with her diabetes condition and injections and learning English as she spoke Spanish at home and was reared in the projects in Brooklin, NY. I bought both the English and Spanish version and donated to the elementary school where I volunteer as a math tutor which is 85% Hispanic with most speaking Spanish at home and are eligible for the free breakfast and lunch programs at school. Beautiful book with a terrific message! I wasn't disappointed. This book is for elementary schools but she has one for middle school as well. This is an excellent biography for the young elementary school set. Simple and clear but deeply profound and inspiring. Desafortunadamente no puedo valorar los libros porque no los recibí y no se a quien hacerle el reclamo. Si ustedes pueden saber el destino final de ellos y si pueden hacérmelos llegar les agradecería.